BRAND NEW NOOK HD, 7" COVER/PROTECTIVE CASE/HOLDER, CRIMSON/Red Condition is New. All sales are final and no return at all. 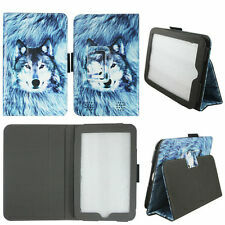 Title: Barnes And Noble Hb-Groovy-St-Cp Groovy Stand For Nook HD 7" Case Cover Black Folding Folio QRS453. Details about the item: Very Good Condition Barnes & Noble Hb-Groovy-St-Cp Groovy Stand For Nook HD 7". Barnes and Noble Nook HD 7" Tablet. The accented color trim accentuates the neoprene stylish case. Neoprene Case. The dual pocket sleeve case has a smooth non-scratch interior lining. Check-Out Now! Note: Actual color may be slightly different from image (due to difference between monitor displays). Skin Sticker Bundle. Decal Skin Sticker Details Genuine Leather Case Cover. Made of high quality genuine leather. High Quality Genuine Leather - Not Faux/Synthetic/PU Leather. Genuine Leather Case. Leather Case Details When you are on "C heck out: Review Order"page If nothing is choose during checkout, we will send out the default green color case ! Is your new Nook HD going au naturel?. Then, protect it with the Trax by Devicewear for the Nook HD 7" Tablet. The Trax is a sleek, padded case that combines style with versatility. By simply placing the case at any one of the 5 different molded tacks, you can find the pinnacle of comfort and ease for viewing or browsing. BRAND NEW NOOK HD, 7" COVER/PROTECTIVE CASE/HOLDER COLOR: BLACK, OEM still sealed in the original packaging. Condition is New. FEATURES A BLACK & WHITE IMAGE OF A MAN WITH A HORSE. SEE PHOTO FOR EXACT ITEM!